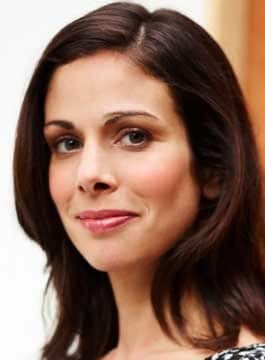 Rachel Botsman is the leading expert and author on trust in the modern world. Described as a visionary, Rachel is the author of two groundbreaking books. What’s Mine is Yours predicted the rise of the ‘sharing economy’, subsequently named by TIME as one of the “Ten Ideas That Will Change the World”. Her highly acclaimed work Who Can You Trust? is a profound exploration of how technology is radically transforming human trust. A lecturer at Oxford University’s Saïd Business School, Rachel also advises organisations around the world on how to build a trustworthy culture. Her three TED talks have received over 4 million views. Monocle listed her as one of the top 20 keynote speakers to have at your conference. A prominent speaker at world-class events for over a decade, Rachel Botsman is a dynamic and witty storyteller. Furthermore, she is a master at connecting with audiences – opening their minds and stirring them into action. Clients have called Rachel “transformational” and “captivating”; as a result, her presentations create a buzz that resonates long after the final word. Tailoring her research to each audience, Rachel has been invited to deliver speeches to companies diverse as Accenture, Goldman Sachs, Dorchester Collection, Microsoft and Salesforce, as well as at conferences such as the Drucker Forum, the World of Business Forum and the World Economic Forum. Rachel is an advisor to boards, senior leaders and governments around the world, helping organisations to build trustworthy cultures. As the go-to voice on trust, Rachel Botsman has a strong, insightful and engaging media presence across publications and channels such as The Economist, The Guardian, Financial Times, The New York Times, The Wall Street Journal, Harvard Business Review, Wired, the BBC and CNN. Rachel is passionate about empowering the next generation to make informed decisions about trust in a rapidly changing world.